DrugWars! New game dapp on Steem! A new game launched on Steem yesterday and just through word of mouth it already brought so many players in on the first day. Created by Funditions and Ongame's @hightouch this Role-playing/ Real Time Strategy game brings something new to the table due to Steem's incentives of crypto payments and letting casual players earn even if they do not spend any crypto on it. I was and am very excited cause these are the games that will pave the way for more gaming dapps to start being created on Steem. Design, code and idea all created by @hightouch and after the few bugs were finetuned after the first day it is starting to look really great and I can't wait to see how it will develop over time, things are getting very interesting already, more about that soon. 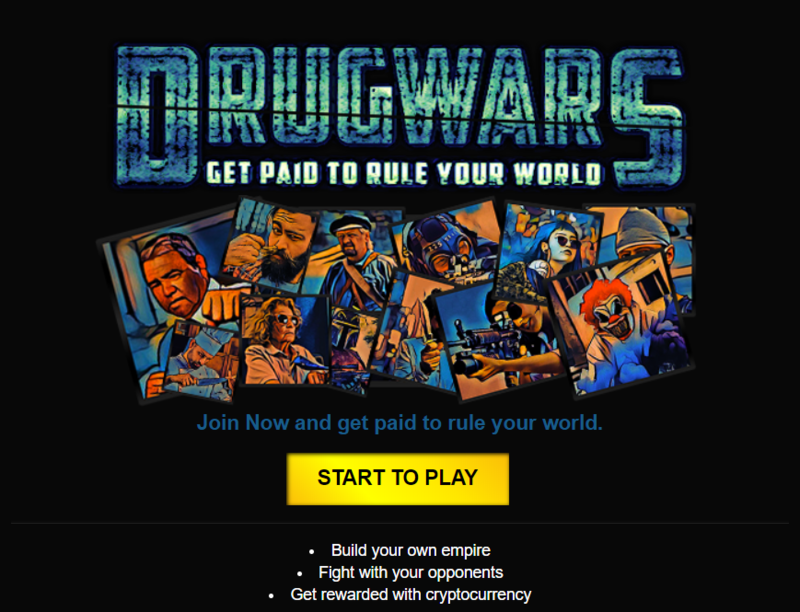 How do you play Drug Wars? It's quite easy, you go to the website, log in with SteemConnect and get started. You get some starting balance when you log in the first time that let's you upgrade a few income streams such as Drug production, Weapon production and Alcohol. The goal in this game is to produce more drugs than the rest, the pool is divided by daily drug production and a Heist where you can invest your drugs in and resets daily. Even without investing anything (on this account) it has been rewarding me with some Steem for the drug production my account generated just for having logged on and gotten started, definitely worth to check it out! 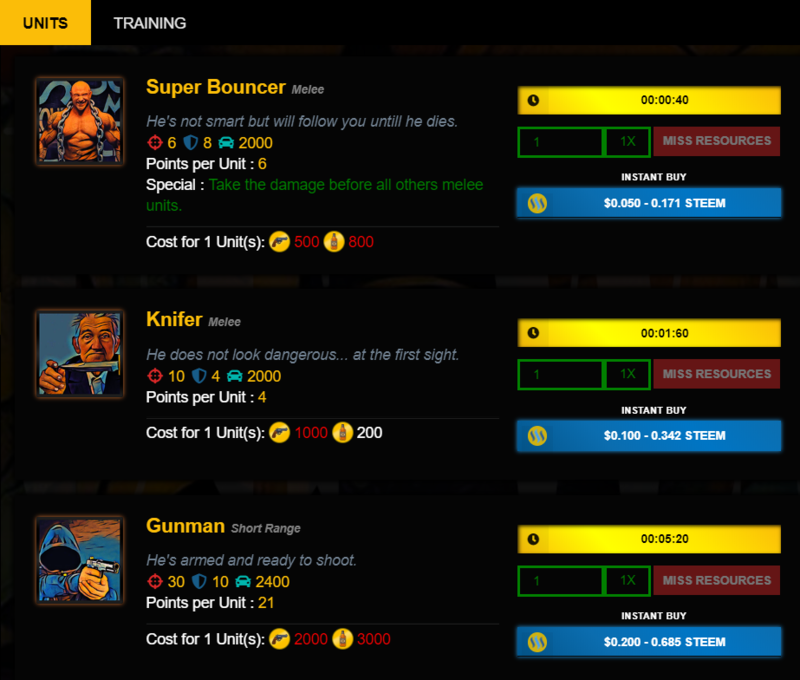 In game you can also buy units for Battles vs other Drug Lords! Be careful not to leave your defense empty though as others will try and steal your drugs without losing any units at it. In the second day the 9% of the daily pool is already worth over 190 Steem and the Heist has reached almost 30 Steem, with more players than you can bother counting already in it after the first day I expect this dapp to blow up in the next few weeks and hopefully we start seeing it on @steemdapps and state of the dapps. As excited I am for games to start being created on Steem I wanted to share this with my followers as soon as possible. I'll be making a more thorough review in the near future of Drug Wars thus I've logged in with two accounts, one where I won't be spending any Steem and see how well I can do without and one where I spent over 100 Steem on the first day to check how the ROI is. Best time to start producing drugs yesterday but today will be better than tomorrow, if you appreciate me writing about this and letting you know about the dapp I would appreciate it if you use my referral link which gives me a 5% bonus based on your production.